It's home screen says it all "Use the Force of Mind Mapping" and that's exactly what it does. There are a variety of tools available for teachers for this very purpose, and Mindomo is no different. It allows students to 'map' their content knowledge in a way that allows them to develop a deeper understanding of course content. The website/tool allows for this mapping to venture to various levels in order to do so and provides a wealth of options for students to collaborate, communicate, critically think, and create. Ministry Supported - for Ontario teachers, this means that you can create free accounts for yourself and all of your students; and access all of the features it provides. Device Neutral - whether your students use iOs devices, Mac OS X, Android, Microsoft, or Linux, they can all access the tool in the same way. Posting Options - Students can post notes, multimedia, links, icons, comments, and emoticons; change the themes of the blank space; and connect ideas using lines just like they would on paper. 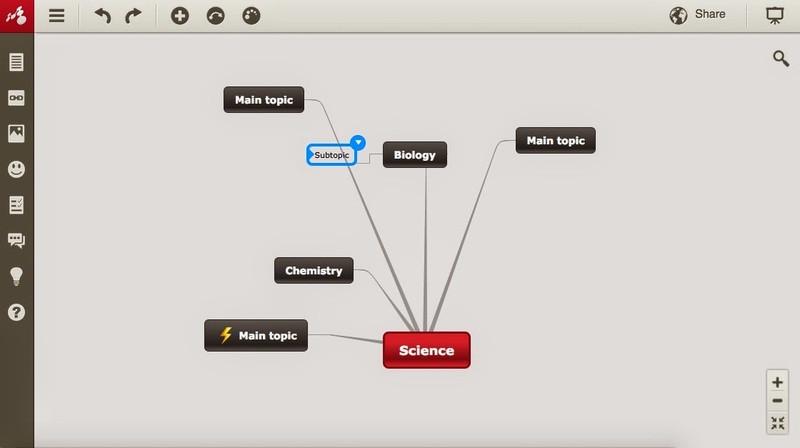 Class Collaboration - I haven't really explored this in detail, but it allows you to set up your classes, enrol all of your students and have them connect, share, and collaborate on course mind maps. You can set up specific groups, and organize them in any way you want. Fairly Simple User Interface - like other tools such as Padlet, adding content is as easy as clicking on the blank page and adding text. Inserting visuals and other media (as mentioned previously) is also as simple as clicking and adding. However, I think it's a bit more of a tool I think that suits intermediate/secondary students, as the terminology and commands might be a bit too much for elementary. Anyway, a pretty good tool for visualizing the connections between concepts, and developing an understanding of the relationships that exist.